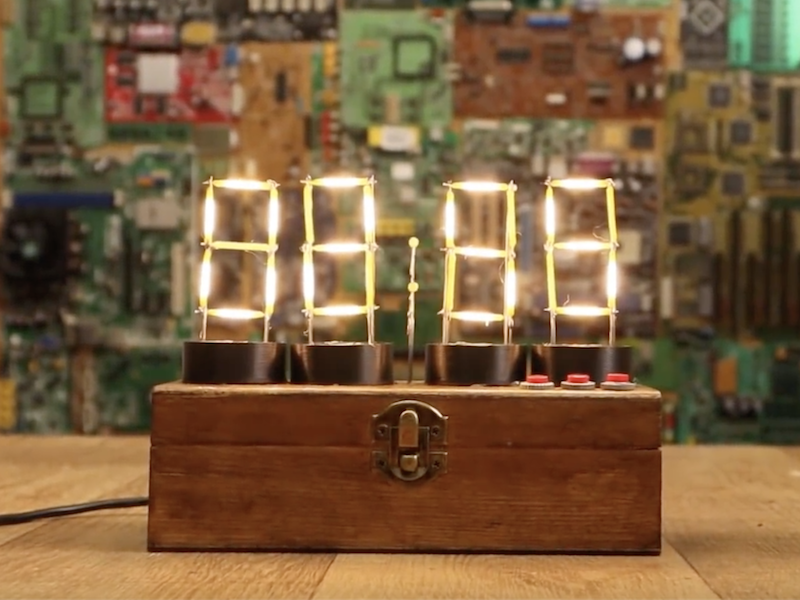 There have been countless clocks made using Arduino boards, but you’ve likely never seen anything quite like this display. 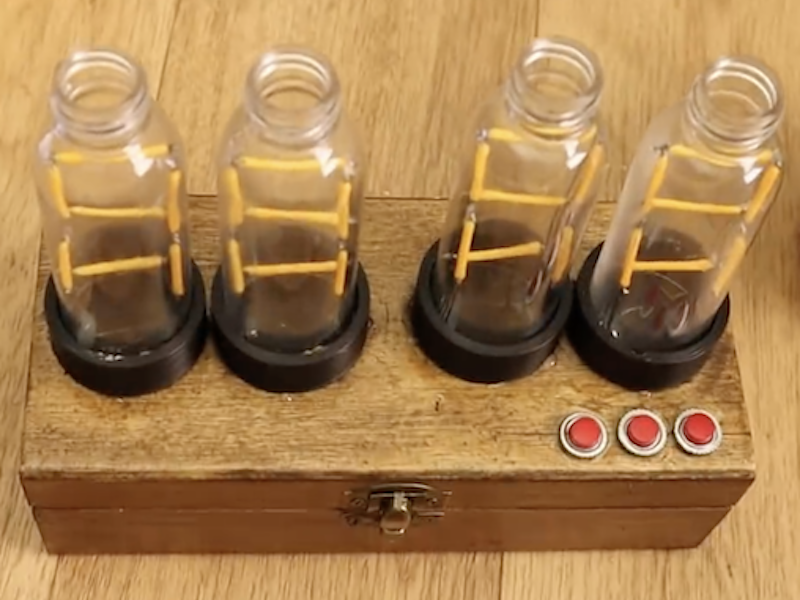 It features four Nixie tubes that alternate between the time, temperature, pressure, and relative humidity, in addition to a clock-like hand as a secondary indication of atmospheric pressure. 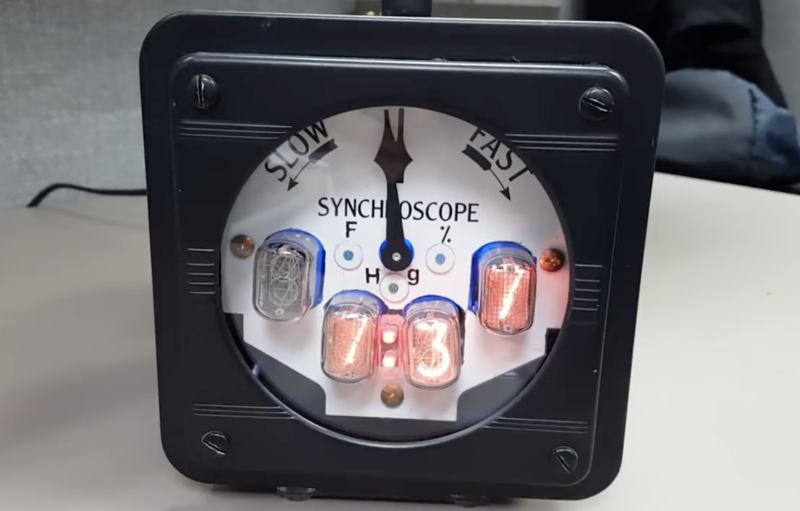 That is interesting in itself, but to top it off, the synchroscope display housing used is actually recycled from a nuclear power plant! An Arduino Mega coordinates data from the sensors and an RTC module to control the Nixie tubes via driver ICs, along with a micro servo to move the pressure indicator. Power for the electronics is provided by three separate transformers in order to accommodate the tubes. The clock displays the time from the top of the minute to 15 sec in, and then displays the temperature (F), then back to time until the bottom of the minute (30 sec. ), then it displays atmospheric pressure (mm Hg), then back to time until 45 sec into the minute and displays relative humidity. Upon reaching 60 sec. it increments the time and repeats the cycle. The BMP280 has a very poor temperature sensing capability and is not nearly as accurate as a DS18B20 waterproof temperature sensor that I used in another project of mine. I may just swap this out. Also I had a nice mesh cage around the sensors to protect them from damage and this too led to inaccurate results so I modified that as well. The indicator arrow is scaled for the low and highest pressures found in my state. the indicator arrow does a good job of showing changes in the pressure when a storm or clear skies are developing. 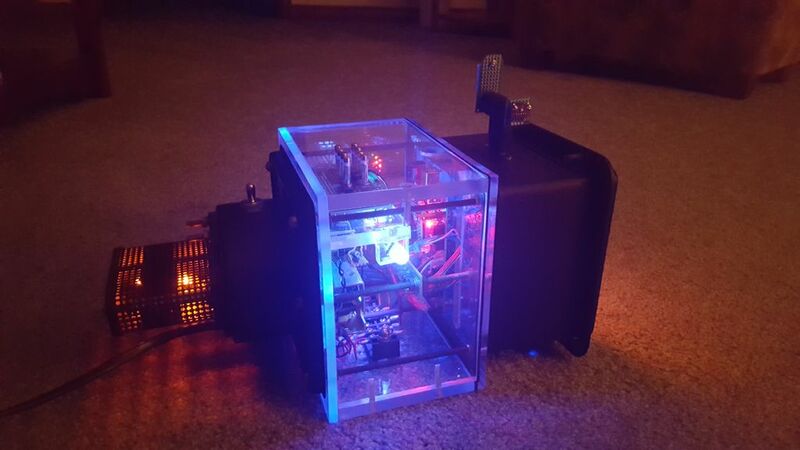 A full write-up on the build can be found here and the Arduino code in this repository.